Arthritis is a common chronic disease affecting men and women alike, throughout the world, especially the elderly people. Experts in the field of Ayurveda are of the opinion that Arthritis is caused due to the accumulation of toxins in the joints (called amavata in Ayurveda). Rheumatoid Arthritis is a kind of Arthritis that affects the joints and causes inflammation in the lining of joints and internal organs. This could be a temporary or permanent problem. The pain causes stiffness, swelling and redness in the affected area. This inflammation may result in production of enzymes that could cause damage to bones or cartilage, thereby restricting movements and even causing joint deformity. Though the exact reason for this disease is unknown, immunologists claim Rheumatoid Arthritis to be an auto immune disease which could also be inherited. Symptoms of Rheumatoid Arthritis include joint inflammation, swelling, stiffness, pain and difficulty in moving the affected body part. Usually starts with pain in wrists and feet and may spread to neck, knees ankles, hips or shoulders. Apart from body pain, other symptoms include loss of appetite, excess thirst, indigestion, fever and general weakness of the body. Arthcare Capsules / Oil: Arthcare is an herbal preparation, which is anti-arthritic and anti-inflammatory and helps in comfortable movement and strengthening of bones, skeletal system and muscular system by faster penetration into the tissues of the body. It could also be relied upon for back-aches, muscular pain, rheumatic and joint pains. It is also a strong antioxidant and increases energy levels. The oil is to be applied (rather massaged) with finger tips around the affected area, two to three times a day. This is also called massage therapy in Ayurveda. Massage therapy can soothe stiff muscles and lowers pain by releasing muscle tension and thereby increasing blood circulation. Arthcare capsules are an unique blend of various herbs and is proven to be safe and effective for those suffering from acute or chronic Rheumatoid Arthritis. Shallaki (Boswella Serrata): This herb, also known as Boswella, is a herb found in India and has been used by Ayurvedic physicians over the years for treatment of Rheumatoid arthritis. Extract of Boswella reduced pain, swelling and morning stiffness when administered to those suffering from Rheumatoid Arthritis. Due to the high anti-inflammatory property of this herb, it inhibits substances causing inflammation, speeds up formation of cartilage, and increases blood supply. This is available in the form of capsules, and could be taken after consultation with an Ayurvedic physician. Ashwagandha (Withania Somniferum): Ashwagandha root is a holistic medicine of Indian origin, belonging to the potato family, which has been used to treat Rheumatoid Arthritis. Apart from treating Arthritis, it is also used in treating high blood pressure, diabetes and other immune dysfunctions. Because of its high anti-inflammatory property, it is also called India ginseng. It rejuvenates and nourishes body tissues and helps in physical fitness. This is available in the form of capsules and could be taken on consultation with a physician. Ginger (Zingiber Officinale): Ginger root, is also one of the safest and simplest herb used in treating Rheumatoid Arthritis and Osteo Arthritis. 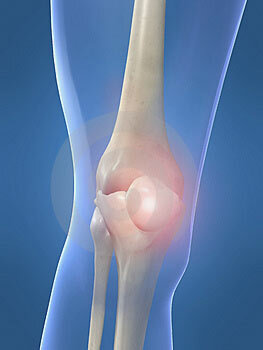 It inhibits the inflammation producing enzymes and provides relief from skeletal and muscular pains. It is found to have no side effects even if consumed for years.